MMR stands for measles, mumps, and rubella, and the MMR vaccine helps prevent these viral diseases from occurring and spreading. Because this vaccine is so effective, measles, mumps, and rubella have been nearly eradicated in the United States. To prevent a widespread recurrence, it’s important for everyone who can be vaccinated to get the MMR vaccine. It’s understandable that parents and unvaccinated adults may have questions. With a little more information, you and your medical professional can decide if this is the right option for you or your child. Remember, this vaccine is recommended by the Centers for Disease Control and Prevention for most people. All of the diseases that the MMR vaccine helps protect you against can become very serious, even life threatening. This is especially true for children and others who are part of a vulnerable population, like people with weakened immune systems. If there is an outbreak of measles, mumps, or rubella, it can quickly become an epidemic in populations where many people are not vaccinated. This is partly due to the fact that the viruses that cause the diseases spread through the air. Simply being in a room with an infected person can put you at risk. For all these reasons, the MMR vaccine is recommended for anyone who can receive it. A medical professional can help determine if you can and should get the vaccine. 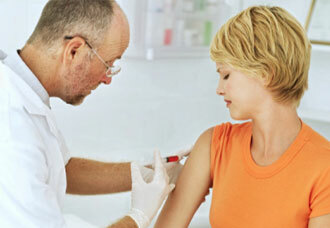 Certain types of allergies or diseases that affect the immune system, for example, may prohibit you from receiving it. Two shots are generally needed for the MMR vaccine. Mild problems like fever, rash, or swollen glands are common. Seek medical help if serious problems occur, like fever, seizures, or an allergic reaction. Pregnant women should not get the MMR vaccine. Getting any type of vaccine comes with certain risks, but the MMR vaccine comes with less risks than contracting the diseases it prevents. For all of your non-emergency health needs and questions, visit your local FastMed Urgent Care clinic. Our medical professionals offer compassionate care that is affordable, and all our clinics feature extended hours. Find the FastMed in your neighborhood today. To learn more about FastMed, visit our FAQs page.